Happy Friday Great Impressions Stamp Friends! 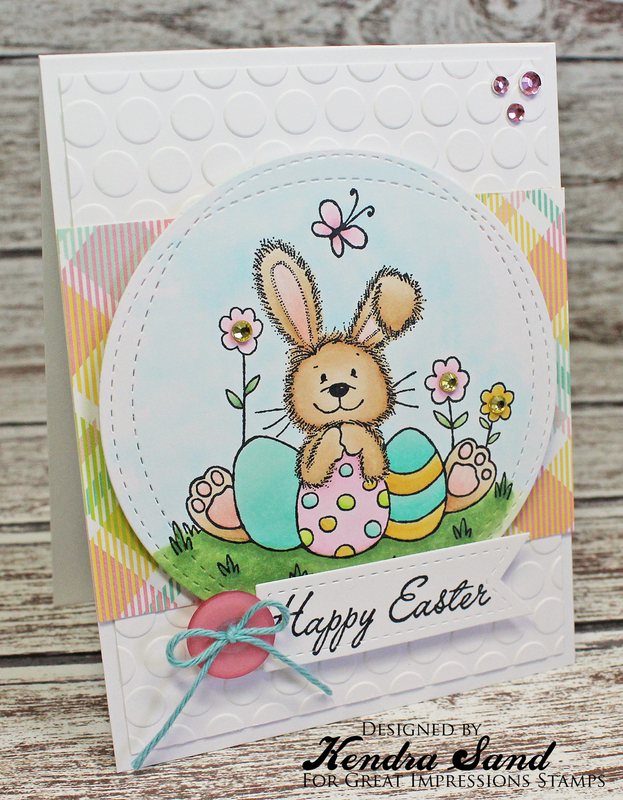 Kendra from Luv 2 Scrap 'n Make Cards here today to share another adorable card with you!! his week GI is sponsoring the challenge on the C.R.A.F.T Challenge Blog!! Be sure to join in! I added some bling to the centers of the flowers as well as to the top right corner. 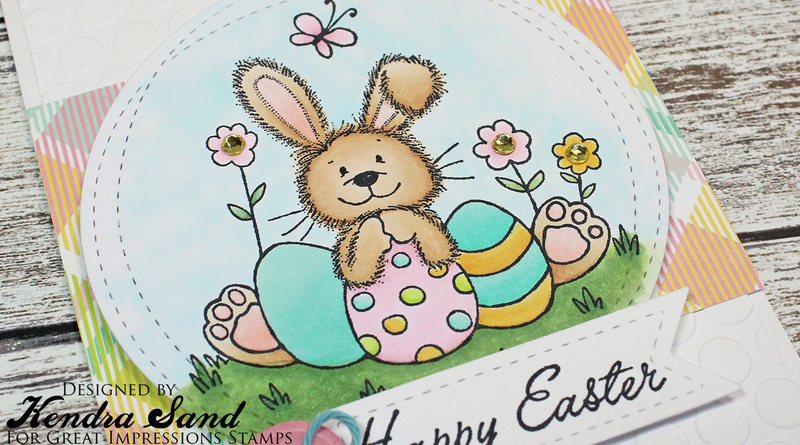 I also used the Cursive Happy Easter (C430) sentiment! 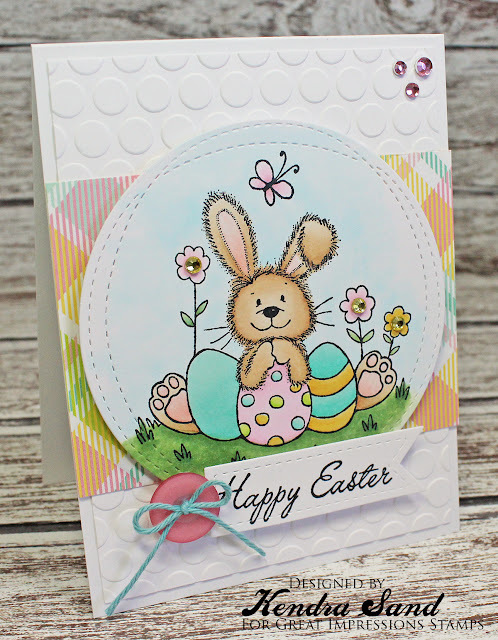 The most adorable little bunny and I love the pretty pastel colouring.